You can get a free sample pack of Chromatek glitter pens and try them out for free. Follow our link and fill up the form with your details to receive your glitter pens and review them. Click GET FREEBIE button to visit Chromatek website now and apply to test these pens. Vested Interests is giving away free tape measures so hurry up and and get one delivered to you. Follow our link and supply them with your postal details to get it delivered to you. Click GET FREEBIE button and then get your free tape measure today. Adra company is giving away free samples of their handmade soap bars so you can try them out for yourself. Follow our link and supply them with your shipping details and they will deliver it to you. 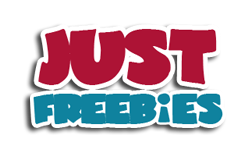 Click GET FREEBIE button and then order a free sample of their natural soap bar. CIREM Cosmetics is giving away free products including face sheet masks when you join their ambassador program. Follow our link and fill up the form with your details to join them and start receiving their products for free. Click GET FREEBIE button and signup today to become their ambassador. Head over to ORU’s social page where they are giving away free pair of sunglasses including free delivery. Follow our link, click Learn More button and supply them with your shipping details to get it delivered to you. Click GET FREEBIE button and then order your free pair of ORU sunglasses.